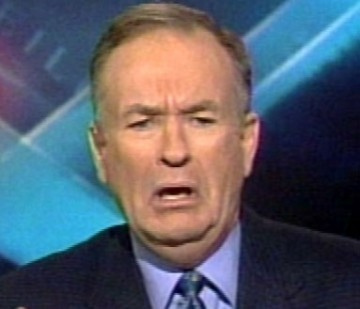 Did wife of Fox New’s pundit Bill O’Reilly leave him? Gawker, the Manhattan-based media blog, is reporting that Maureen McPhilmy, the wife of Fox News’ star pundit Bill O’Reilly, may have moved out of their Manhasset, Long Island home for a new property located just down the street. "Bill O'Reilly’s wife Maureen McPhilmy purchased a new house about a year ago, just down the street from the Long Island home she's shared with Bill-o since 2002," wrote Gawker’s John Cook in an article that ran on the current affairs site yesterday. "O'Reilly still owns the old one. And Fox News isn't saying whether they still live together." The website noted that McPhilmy is listed under her maiden name, as the sole owner of the 5,282 square foot property – which she reportedly bought for $2.5 million in May 2010. The new property is located about half a mile from the sprawling waterfront home she and O’Reilly have lived in with their children for almost a decade. In a detail that is sure to pique the curiosity of many, McPhilmy has changed her voter registration to the new address, while O’Reilly maintains his registration at the old house. Gawker admits there may well be a simple explanation for the purchase – the family may have recently moved, they admit, or they could be in the process of moving. The home may have been purchased under McPhilmy’s maiden name to cloak its identity from the public and the press, or alternatively it may be that O'Reilly simply hasn't updated his voter registration yet. Fox News was contacted by the website for clarification via e-mail on Friday but declined to comment.